I grew up with gardening parents. My dad, a horticulturalist grew lovely flowers. My mother, far more practical grew vegetables. I have grown both along with herbs and at one time I had a large lovely spiral garden that was a delight to show visitors and quite arduous to take care of. However, in those days I didn’t have a computer and I didn’t spend as much time writing, either. One of the good things about gardening is the exercise you get from doing it; another benefit is the fresh air from the time out of doors. However, where Stephen and I live now there are nice places to walk and people have lovely gardens we can look at. It is also possible to find wild flowers growing by the side of the road. This delights me because I have always loved the flowers that nature provides for free. Stephen and I were out for a walk recently when I spotted the little orange and yellow wildflowers I’ve known from my childhood as Butter and Eggs. Joyfully I gathered a small bunch to take home and put into a vase. Then I looked them up both on the Internet and in my own reference books: their Latin name is Linaria vulgaris. They were originally brought over from Europe centuries ago. I’ve often wondered whether snapdragons might not have been developed from these similar looking flowers the way carrots were developed from what we know as Queen Anne’s Lace. However there seem to be no connection beyond the resemblance. Bumblebees are one of their chief pollinators because of the tight construction of the flower. Another name for it is Toadflax. At one time it was thought these flowers would attract toads to the garden. Gardening and herbal lore tell us that what resembles a thing might be connected with it in some way. In the light of this information, it made sense when I read that the flower was called Toadflax because the blossoms resembled tiny toads. In addition to eating many harmful insects toads delight in dining on slugs. Not only are they far cheaper than noxious chemicals, they are much better for the garden as well as for the gardener than any poisonous insecticides. Also the flowers and other parts of the plant have been used as an herbal insecticide. 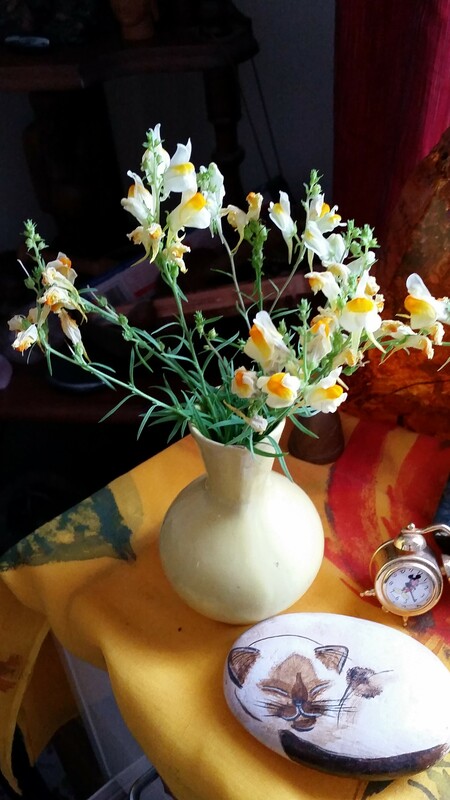 Taken together with the insect killing properties of toads the name Toadflax seems even more appropriate. 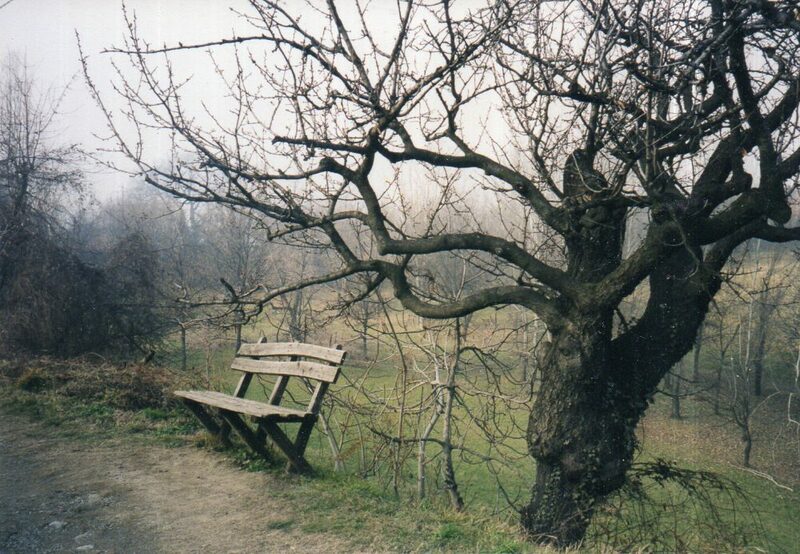 Although I have been a gardener for most of my adult life I am currently without a garden. People often ask if I miss it. To some extent I do, however, the many hours I once spent weeding and pruning can now be used for my writing and my rather large email correspondence. I can also console myself with this thought: The wildflowers that grow by the side of the road are available to the eye as well as for picking. Whether I gather them or just leave them there to grow I am glad, because all they require of me is my admiration.